F-Zero GX is one of the most amazing racing games you will ever play. Easy to learn, nearly impossible to master, there are so many levels it can be enjoyed at. The only problem is that it was released on the Gamecube in 2003, and the franchise seems to have skipped a generation not appearing on the Wii. A decade later and fans are wondering if Nintendo has anything up its sleeve for the high-octane series on the Nintendo 3DS or Wii U. Nintendo's Shigeru Miyamoto sat down with IGN and explained to them that he doesn't know "which direction he could go with F-Zero." "I certainly understand that people want a new F-Zero game. I think where I struggle is that I don't really have a good idea for what's new that we could bring to F-Zero that would really turn it into a great game again." Of course, Miyamoto could always just ship the series off to another talented developer. F-Zero GX was not created in house by Nintendo, but by SEGA actually. Miyamoto does not like the idea of letting someone else develop Nintendo games, though, despite the recent success of Luigi's Mansion: Dark Moon being developed by Next Level Games. "I only have so much capacity. Obviously in the past we've tried to work with other companies, where we've let them develop games for us in franchises like Star Fox and F-Zero, but the more we think about it, the more we prefer to be able to create those games internally, on our own." Maybe poor sales of F-Zero GX forced Nintendo to focus more on the obviously more successful Mario Kart franchise. It's never been one to stick with under-performing franchises, and the game only sold 650,000 worldwide. It's easy to see why Nintendo might be hesitant to throw another one out there. Creatively, the problem here is simply over thinking. F-Zero has an incredibly difficult formula to get wrong. Fast cars go vroom and tracks flip and loop like wild roller-coasters. There is no real need for anything new or entertaining, just an update of F-Zero GX in HD and some new tracks would be fine. If Nintendo can keep cranking out uninspired New Super Mario Bros. games one after another without thinking too much about their originality, then certainly it has the ability to stick to the F-Zero formula without cranking the old thinking gears too much. 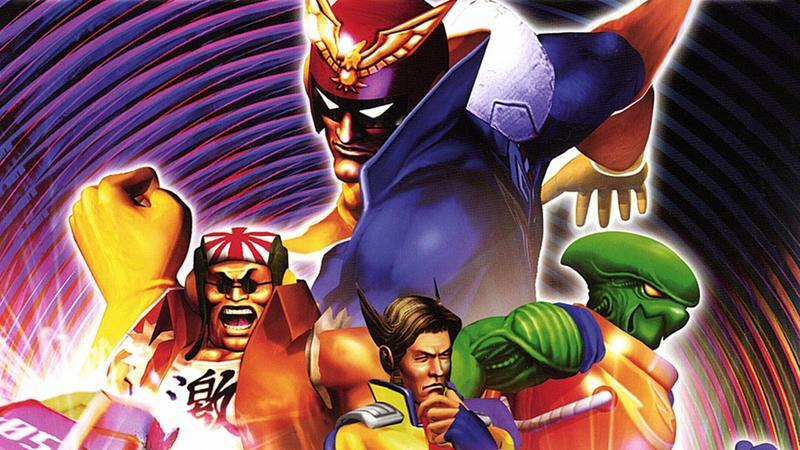 It's been ten years, and I'm tired of controlling Captain Falcon only in fighting games. Let's get to it, Nintendo. Get some ideas or ship it off to someone who can.